The people have spoken. Massive Protests have continued since Trump’s inaugeration and his approval rating is at an historic low for an incoming President. Donald Trump has cancelled his trip to visit a Harley Davidson facility in Milwaukee, Wisconsin due to fears of massive protests! The protests in Milwaukee, Wisconsin, were being organized to denounce Trump’s Muslim Ban. Milwaukee, largely surrounded by red regions, does have a Democratic mayor. President Donald Trump will not be visiting Milwaukee Thursday, and CNN is reporting that the cancellation stems from Harley-Davidson’s discomfort in hosting the president during expected protests. CNN attributed its report to an unnamed Trump administration official. Trump was expected to deliver a speech on the economy and manufacturing here. Over the weekend, sources told the Journal Sentinel that the the Trump team had been scouting locations ahead of the planned visit, and were considering places like State Fair Park and the Harley-Davidson. This is a first time a new President has cancelled a trip to a U.S city due to protesting. 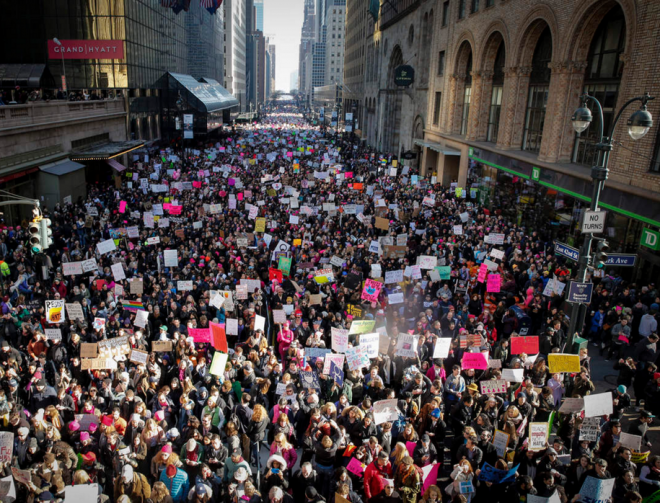 If protests such as this and previous ones continue in every city, Trump could be sequestered in the White House or at his satellite White House, Mara-Largo.